Il caffé comes in many forms here in Italy. Cappucino, of course – though properly never past noon (time was they wouldn’t even serve it then). Caffé which is espresso. OUR coffee is caffé americano. Not sure if it’s called that if you’re German. 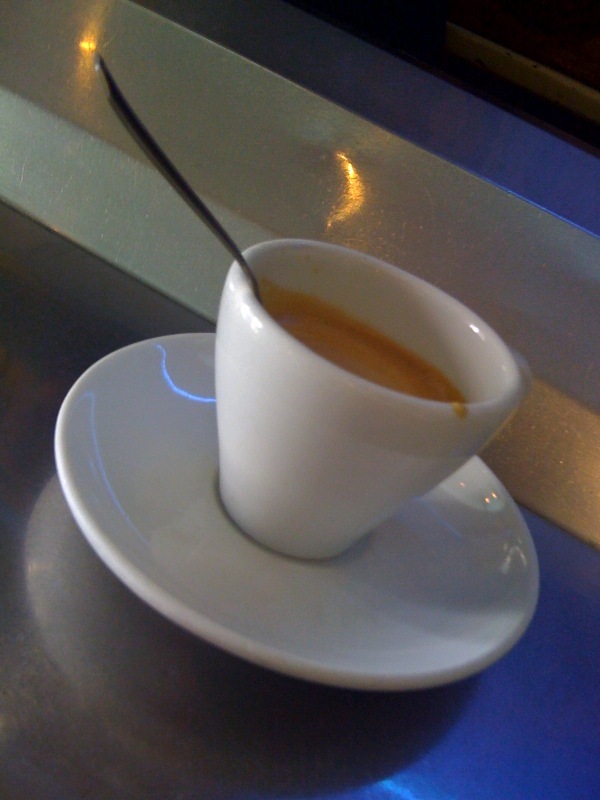 But un caffé estraordinare can be found at Sant’Eustachio (that’s Sant-ay-you-Stock-eeyo). It comes with sugar and a foamy head that exceeds the inky espresso itself. Comes with spoon.